Hot weather calls for cool and refreshing desserts. 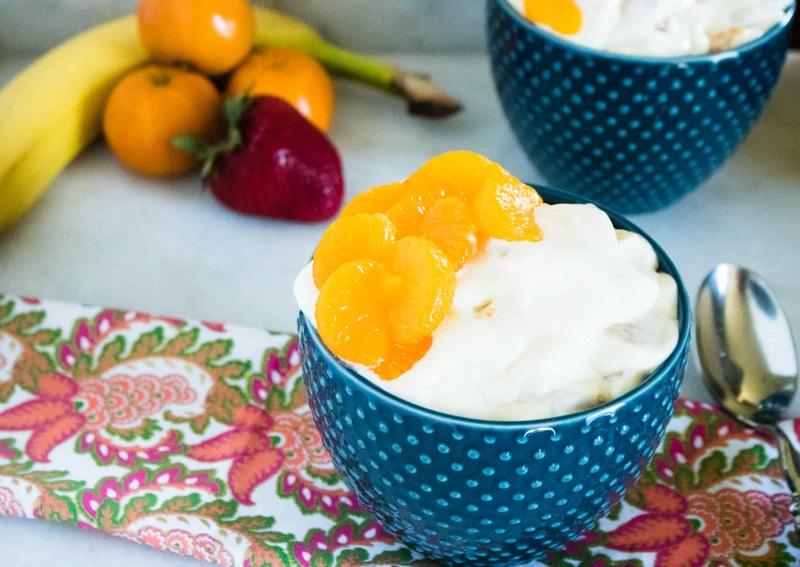 This recipe for Loaded Fruit Pudding Salad brings together creamy whipped topping, vanilla pudding, and fresh fruit to make a truly delicious bowl of yumminess. 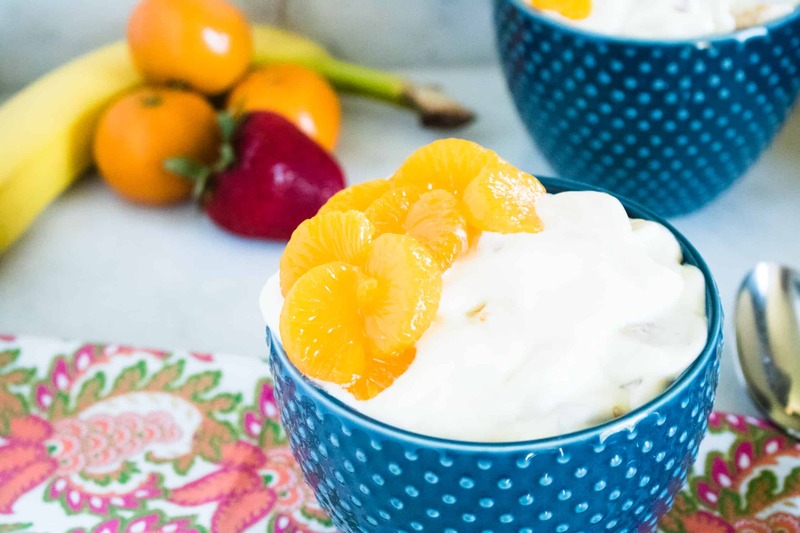 What makes Loaded Fruit Pudding Salad even better is it comes together in mere minutes, and can be stored in the fridge until you’re ready enjoy. While I haven’t tried this yet, I’m betting that freezing this Loaded Fruit Pudding Salad mixture into fruity pudding pops would be a fantastic idea. If anyone gives that a try, let me know! It’s not always easy to get fruit into your diet. 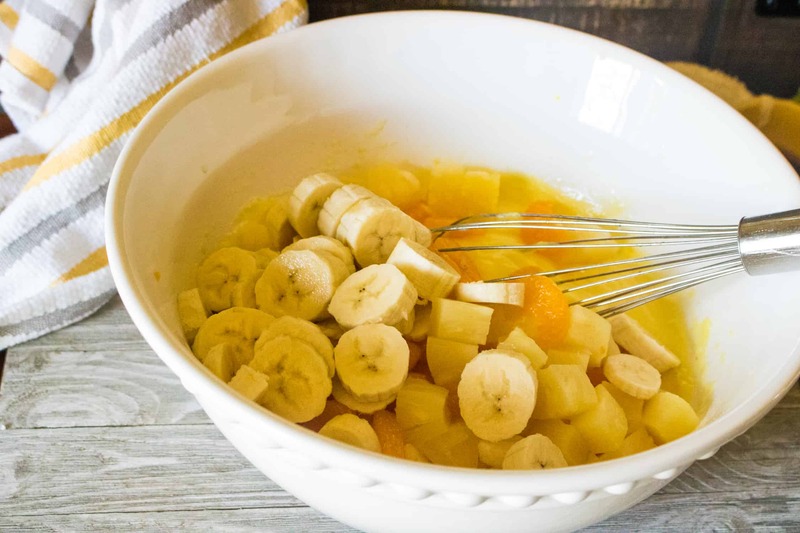 And while eating dessert all day isn’t the best way fit fruit in nutritionally, if you are trying to get in 2-3 servings of fruit per day, why not make one of those servings a tasty and refreshing fruit dessert? Pineapple and mandarin oranges are high in fiber and vitamin C which helps boost your immunity, protect against cardiovascular disease and improve skin health. Some fruits also contain minerals, like potassium in bananas that can help maintain your blood pressure and balance the acids and bases in your body. 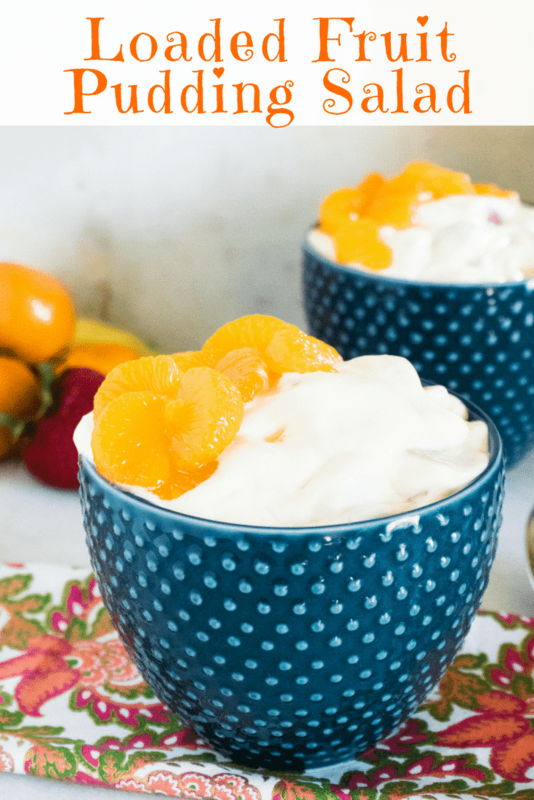 Since Loaded Fruit Pudding Salad is so quick and easy to make, it is the perfect take-along treat for all sorts of summertime picnics, outdoor parties and special events. Be sure to store your Loaded Fruit Pudding Salad in the refrigerator until you’re ready to eat. Or better yet, store it in a handy cooler so it is readily available to all your party-goers. Serving Tip: If you don’t have access to a refrigerator or cooler, you can fill a larger bowl with ice and set your salad bowl inside. Keeping Loaded Fruit Pudding Salad on a layer of ice will keep everything cool, tasty, and safe to enjoy! Can I Use Other Fruits in My Loaded Fruit Pudding Salad? Of course! Feel free to substitute your favorite fruits. Summer is a season of plenty, and you should take advantage of all nature has to offer. If you love strawberries, then add those in. If peaches are your favorite, give those a try. Use this recipe as a jumping off point to get creative and make this dessert your own. First, mix milk together with pudding until smooth. Next, add in whipped topping and fruit. Stir to combine. Refrigerate for 2-4 hours prior to serving. Enjoy! 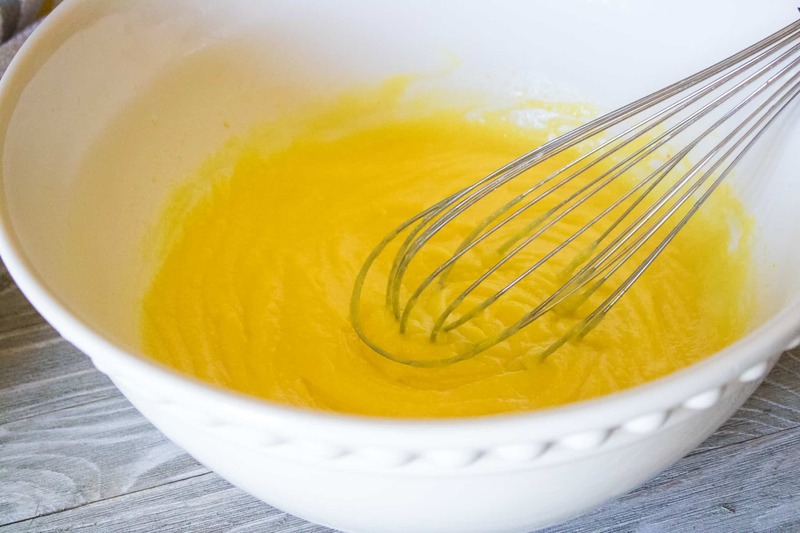 Mix milk together with pudding until smooth. Add in whipped topping and fruit. Stir to combine. Refrigerate for 2-4 hours prior to serving.